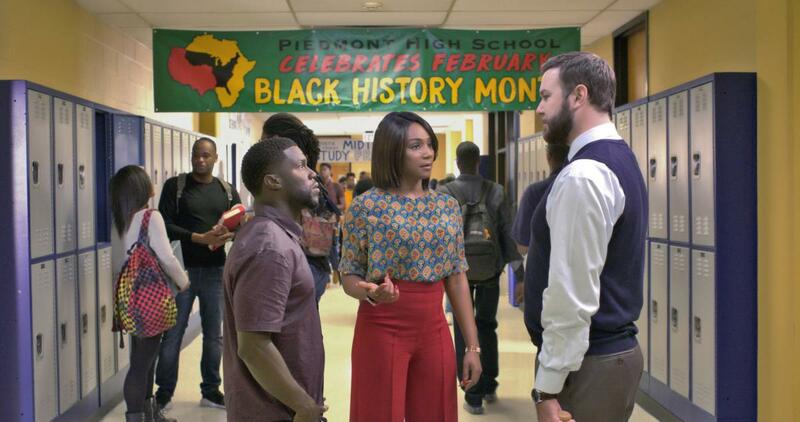 Night School opens with young, Teddy Walker (Kevin Hart) struggling to study for his GSAT test. Right off a cool special effect, test questions pop off the page and fly about the room, makes Teddy’s challenge tangible for the audience. Teddy’s father, Gerald, portrayed by the venerable Keith David is convinced that he is dumber than a box of rocks. Coddled by his mother, Carole (Donna Biscoe), Teddy wakes to a gym filled with anxiety. As the questions yet again fly off the page, a tantrum sets in, Teddy storms out spouting claims that he will have money, a beautiful woman, and a fly ride the age-old question looms. Can a person be successful without college? Fast-forward 17 years; Teddy has Lisa, a Porsche Carrera, killer apartment, etc. However, a fiery misjudgment will change his life. With job gone, car gone, Teddy plummets into hysterical panic mode. In order to set his life to rights, he must obtain his GED. It will not come easy either. The music for Night School was on par with the plot progression, especially with T.I.’s “Whatever You Like.” As we were re-introduced to Teddy as an adult, establishing sequence proves that he has achieved what he set out to do. Kudos to costume design with their prime picks from homely to chic to plumb stupid (the Christian chicken). Night School has a few lulls in the dialogue, but all in all the audience was rolling. 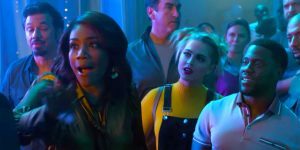 Though a comedy, Night School offers some insight into a common obstacle for many children in school. The shame and stigma that left unaddressed leaving the children feeling hopeless and sometimes leads to dropout. Film Review: ‘Ride Along 2’!! This entry was posted on Friday, September 28th, 2018 at 2:20 pm	and is filed under Film, News. You can follow any responses to this entry through the RSS 2.0 feed. You can skip to the end and leave a response. Pinging is currently not allowed.